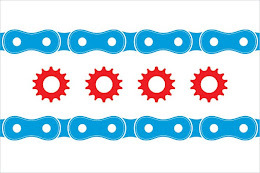 Chicago Bicycle Accident Lawyer | Illinois Bicycle Lawyers at Keating Law Offices: Philadelphia Proposes Tougher Bike Laws. Could Chicago Be Next? Philadelphia Proposes Tougher Bike Laws. Could Chicago Be Next? Implement a fine of $1,000 or confiscation of a bicycle if it is without brakes. This raises the issue of whether we could see laws like this in Chicago or even statewide. The answer is "possibly." Legislators tend to be "copycats" and borrow legislative ideas from other cities or states. If this legislation gets passed in Philadelphia, I would not be surprised to see something similar in Illinois. Chicago has already increased the fine for those who ride on the sidewalk on Sheridan Road at the end of Lake Shore Drive in Chicago. Ald. Ed Burke of Chicago has previously proposed legislation that would "outlaw" bikes without brakes. His legislation specifically targeted "fixies". And it would not be at all surprising to see a law that fined riders who were listening to headphones while riding. Add in the fact that municipalities and states are having budget woes, and the opportunity to generate revenue from fines makes new legislation all the more tempting. EDIT: The AP is reporting that Philadelphia police officer are now cracking down on bicycle scofflaws. Interestingly, this is being done even before the aforementioned tougher penalties are implemented. There is clearly a change in public policy in Philadelphia regarding bicyclists in the aftermath of the two recent bicycle-related deaths.